Perimeter Transportation provides a secure online reservation service for bustransportation from Vancouver to Squamish and Whistler, BC. You can easily book bus tickets for travel between Vancouver Airport (YVR), Downtown Vancouver, Squamish, and Whistler. Our expanded network of travel partners offers more vehicle choices and travel options to Whistler than ever before. Arriving late into Vancouver Airport? No problem, our private transportation can be booked for any time of day or night. Arrange for private transportation to Whistler in a luxury sedan, SUV, or Mercedes Sprinter Van. Have a large group? We also offer executive and luxury motor coach charters to Whistler and beyond. 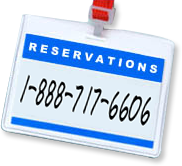 Perimeter enables you to quickly reserve your Whistler bus ticket online or by telephone. Take a window seat and enjoy the spectacular scenery from your perch aboard a high-deck luxurious touring motor coach. Marvel at the beauty of Vancouver as you travel through the downtown core en route to the world famous Sea to Sky Highway, which connects Vancouver to Whistler Blackcomb Resort. Only by bus can you fully enjoy the spectacular views of the snow-capped North Shore Mountains, the sparkling blue waters of Howe Sound, the majestic Tantalus Mountains and glacier fed Squamish and Cheakamus Rivers. Perimeter also provides online reservations for bus transportation between the Squamish Centre Mall (1170 Hunter Pl, Squamish) and the Vancouver International Airport (YVR) on the Sea to Sky Highway 99. This daily shuttle transportation service is the most reliable and relaxing travel method available when going to and from Vancouver International Airport (YVR). For fast and hassle-free shuttle reservations you can use the above Book Now area to reserve your Squamish shuttle tickets directly online. 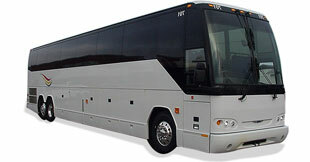 Perimeter Transportation also offers executive-class motor coach and bus charters to all points in North America. From short airport transfers to multi day tours, Perimeter will transport your group in style. We can offer the right vehicle for any group size, with luxury sedans, executive SUVs & vans, to 23 & 27 passenger minibuses and larger 48 & 56 passenger motor coaches. Each Perimeter executive motor coach offers an onboard washroom, DVD entertainment system, and reclining seats. If you are looking to charter a motor coach for a large group, or require a custom bus charter, please contact us. If you're visiting Whistler, Perimeter offers great rates on private transfers to Whistler Blackcomb Resort with meet and greet at the Vancouver Airport. Perimeter offers online and telephone reservations for scheduled bus service between Vancouver Airport, Downtown Vancouver, Squamish, and Whistler. Our services include online reservations, meet and greet services, and Whistler Blackcomb lift tickets. Private transfers are well suited for families or larger group transportation. Perimeter would be pleased to accommodate special reservation requests for your upcoming trip to British Columbia.